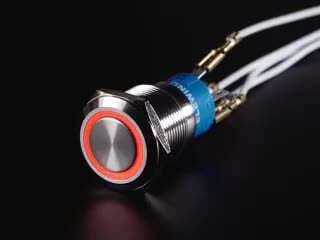 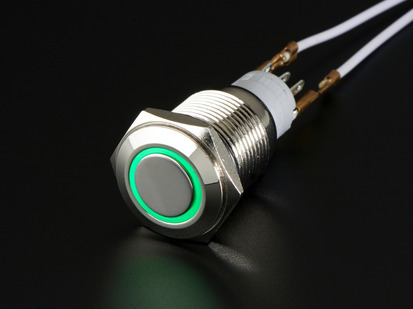 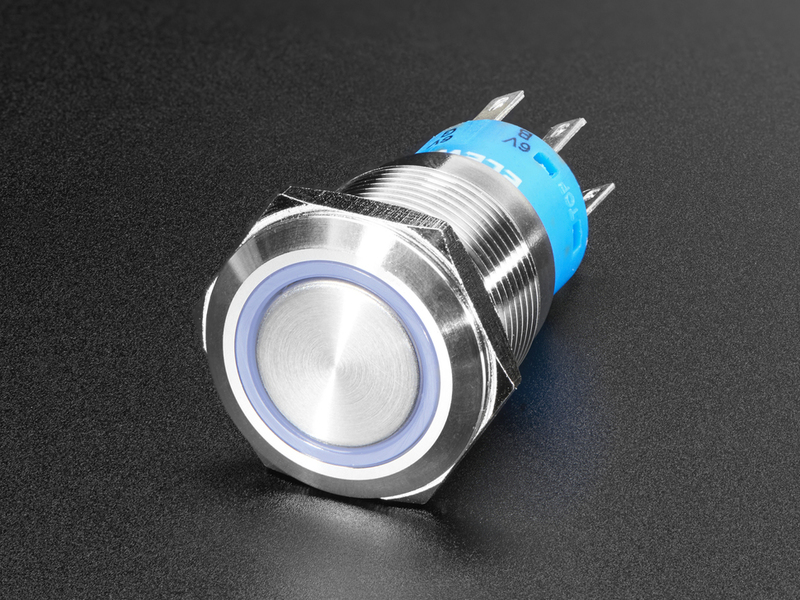 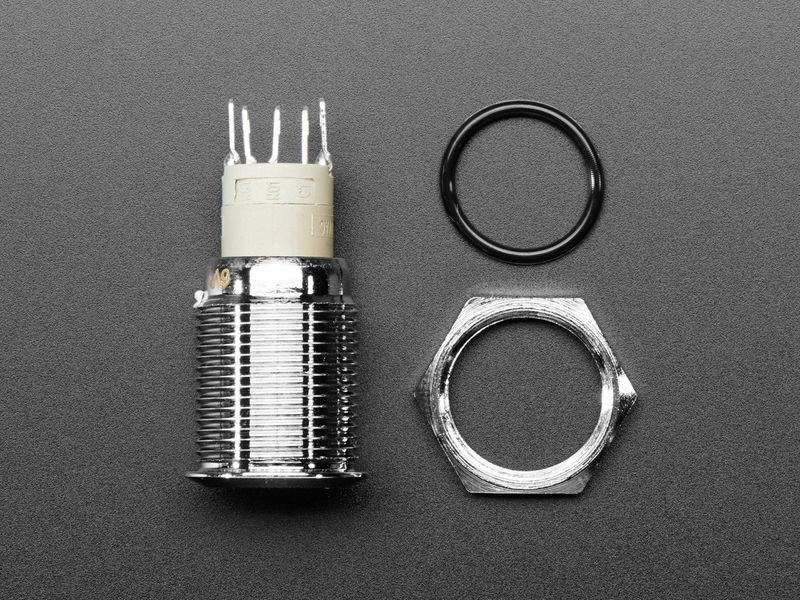 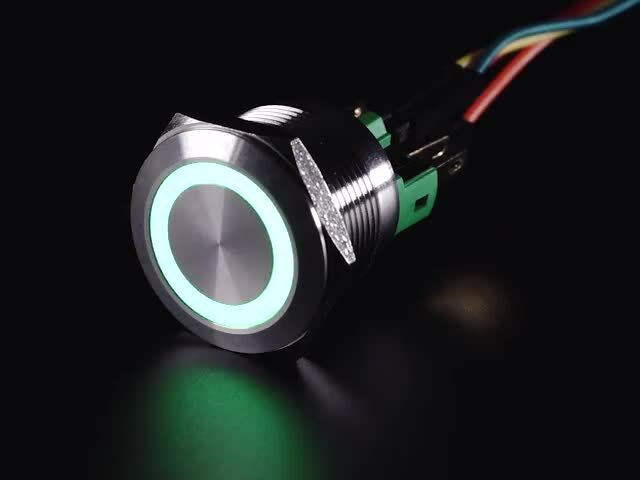 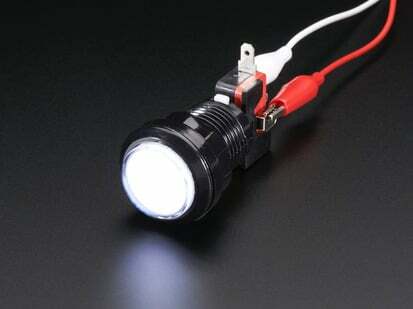 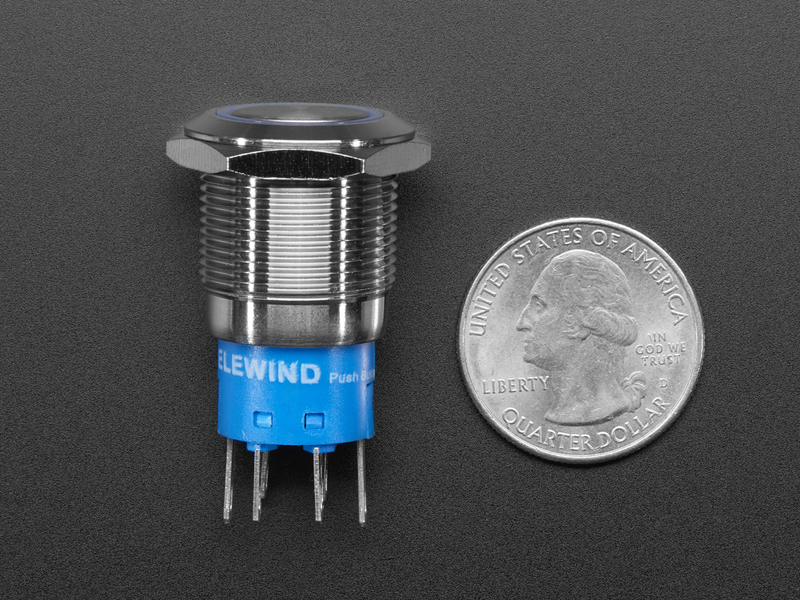 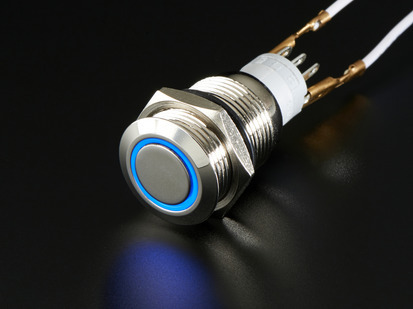 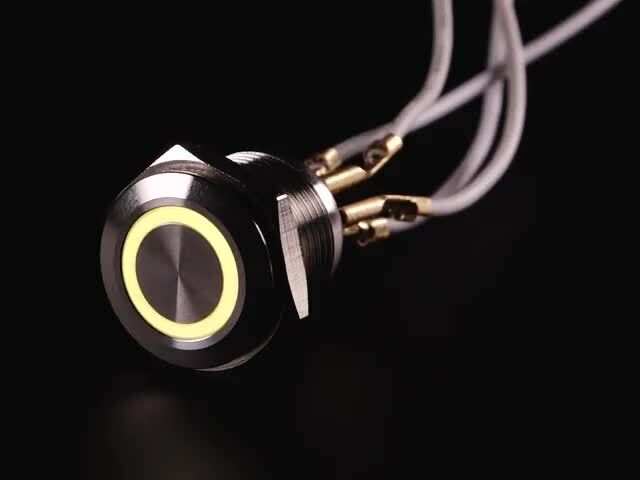 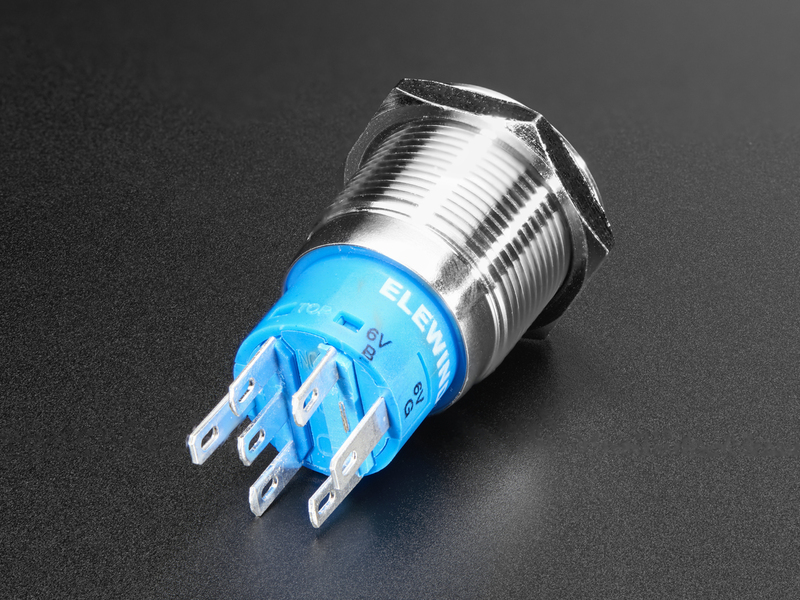 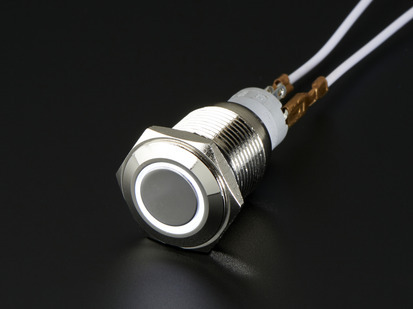 This is a 19mm Momentary version of the RGB pushbutton. 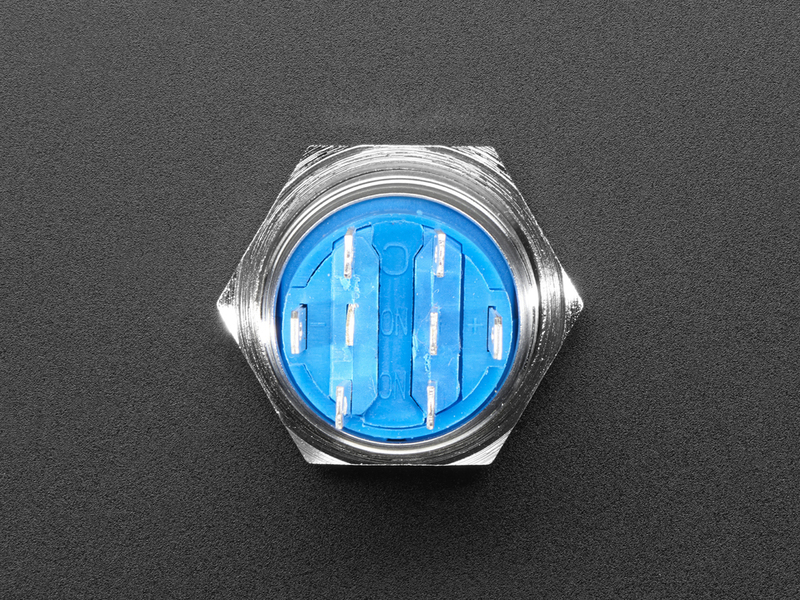 Simply drill a 19mm hole into any material up to 0.45" thick and you can fit these in place – there's even a rubber gasket to keep water out of the enclosure. 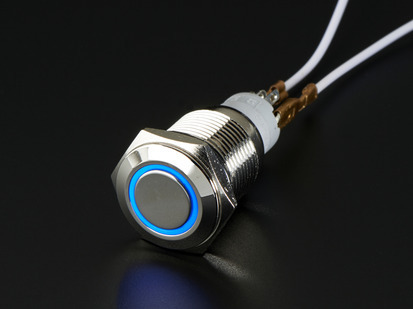 On the front of the button is a flat metal actuator, surrounded by a plastic RGB LED ring. 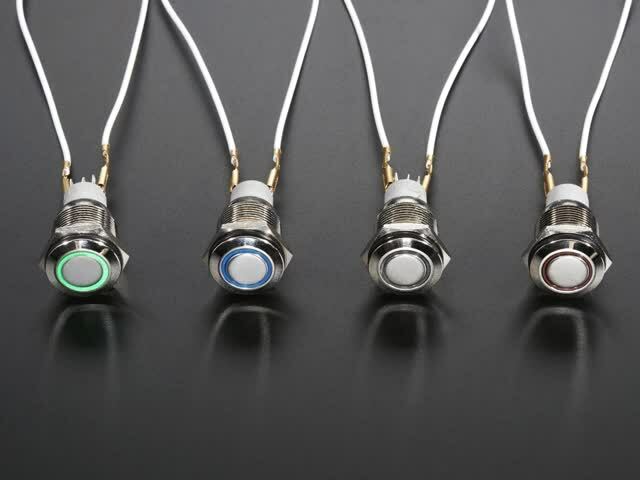 On the back there are 4 metal contacts for the RGB LED ring (one anode and 3 cathodes for each red, green, and blue) and 3 spade contacts for the switch. 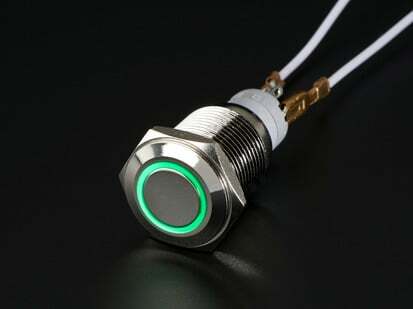 To use the switch: There is one SPDT switch inside the button. 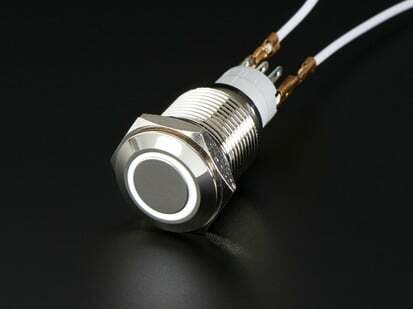 Looking at the bottom of the switch, the common contact is the one to the left of the C. Above it are two spade contacts, one labeled NO (normally-open) and one labeled NC (normally-closed). When you press the button, the NO contact will close to the common contact, and the NC contact will open from the common.